Shoki Kohara had become unemployed. Waiting at a bus station in Tokyo one day, a mission-minded Adventist gave him a flyer, inviting him to evangelistic meetings. To the member’s great surprise, Kohara showed up for the meetings and eventually accepted Jesus as his Savior and Lord. Though he had some doubts at first, he finally decided to enroll in baptismal classes, and in due time, the man who had walked far from God decided to be baptized. His radiant face on the day of his baptism revealed the great joy he felt in being born again. Kohara’s conversion story is, in a sense, unique. But is not uncommon. Across Japan, Seventh-day Adventist members believe God is using various means and methods to call His own to Bible truth and faith in Jesus. 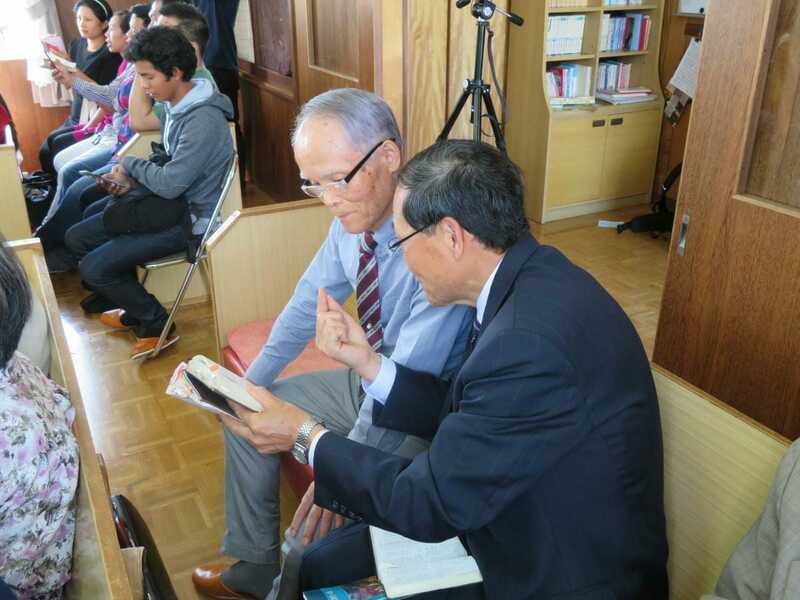 Below are a few examples and comments about what church members say God is doing in Japan. Unlike the story of Kohara above, Kai Onodera had grown up in an Adventist home. His parents were faithful to the truth, but Onodera never made his surrender to Jesus. Years went by, and it seemed that his best opportunities to join the church were behind him. He married Yoshiya, a woman with no Christian background. Still, occasionally, he would attend an Adventist church. One day, someone at church asked him to help with the sound system, and he accepted. It is the reason he began to attend evangelistic meetings with his wife and 11-year-old son. The family kept coming, even when Onodera was not on duty. By the end of the meetings, Onodera, his wife, and his son Ruriko made their decision for Christ and were baptized. They are now members of the Amanuma Seventh-day Adventist Church in Tokyo. 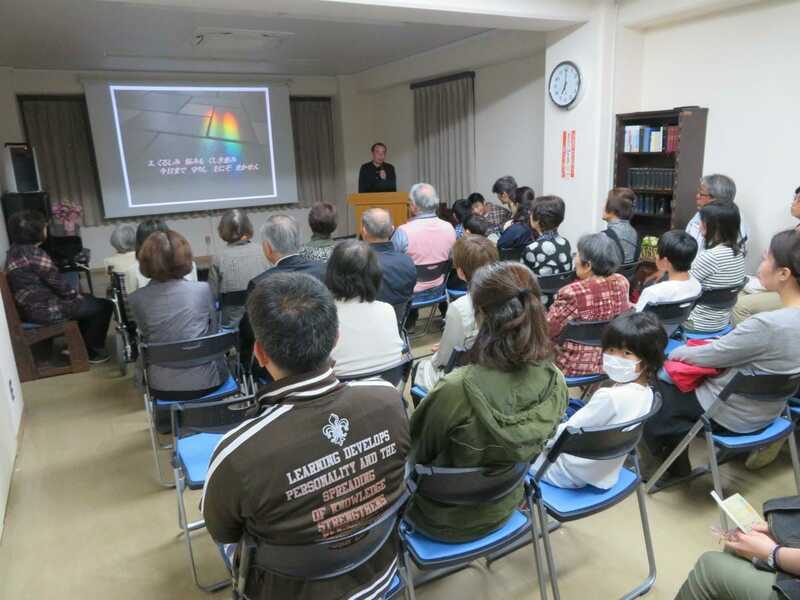 At the Amanuma Church in Tokyo, associate pastor Myung Hoon Rha had been holding a service for non-members every Sunday evening. Yasuhiro Sunada, a man working for the public-school system, had been exposed once to Adventists as a child, and began to attend those meetings on and off. When he stopped attending, a visitation team member from the Amanuma Church contacted him. They found out that he had many questions on the topics discussed, and he was glad when the pastor offered to answered them and invited to evangelistic meetings. There were a couple of challenges, though. Sunada had some habits that were preventing him from fully committing to the Lord. He also said that due to his work, he couldn’t come except a half hour later to the meetings. Eventually, however, as he watched some DVDs with the topics he had missed, he began not only to arrive on time but also enrolled in baptismal classes. Before long, Sunada made a decision: He would leave aside every habit that would not bring glory to God and be baptized into the Adventist Church. His smile on the day of his baptism was a living testimony that he felt he had made the right choice. Suzuki said he’s been studying with several individuals, who were now attending Robert Folkenberg Jr.’s “Power of Hope” series at the church. “In any language, it is great to tell the story,” he said. For others, the road has been long-winded but not less rewarding. Take Edmilson Kazumi Moraes, for instance. Kazumi, a Christian and Buddhist Brazilian who married a non-attending Seventh-day Adventist, immigrated to Japan with their three daughters more than twenty years ago. After a series of providential events, the whole family became Adventist, and now they say they want to serve the Lord with all their hearts. But no matter the method or the means, God is calling His own across Japan. As church members commit to being the hands and the feet of Jesus, leaders are confident this is just the beginning. “At the core, all people from any culture have similar needs, fears, and hopes, and the answer is not found in philosophy, entertainments, or superficial religious themes but…in the truth of the Bible,” said Clouzet. It is the truth that members, pastors, and leaders across Japan are proclaiming. * An original, longer version of some of these conversion stories first appeared in the March-April 2018 issue of the NSD News & Views.